Downtown Long Beach, less than half an hour away from us in Downey, is full of night life. 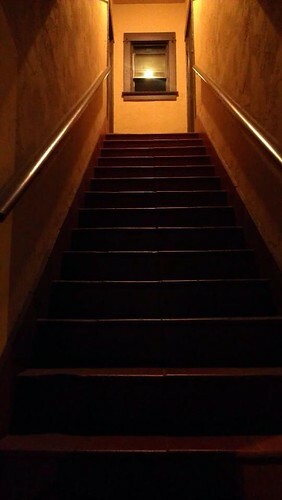 After a nice dinner on E Beverly, I was walking down the street tonight when I saw this stairway. I want to go up and see what is up there.